Experience the exceptional breathability of soft ring-spun cotton at your next outdoor excursion. 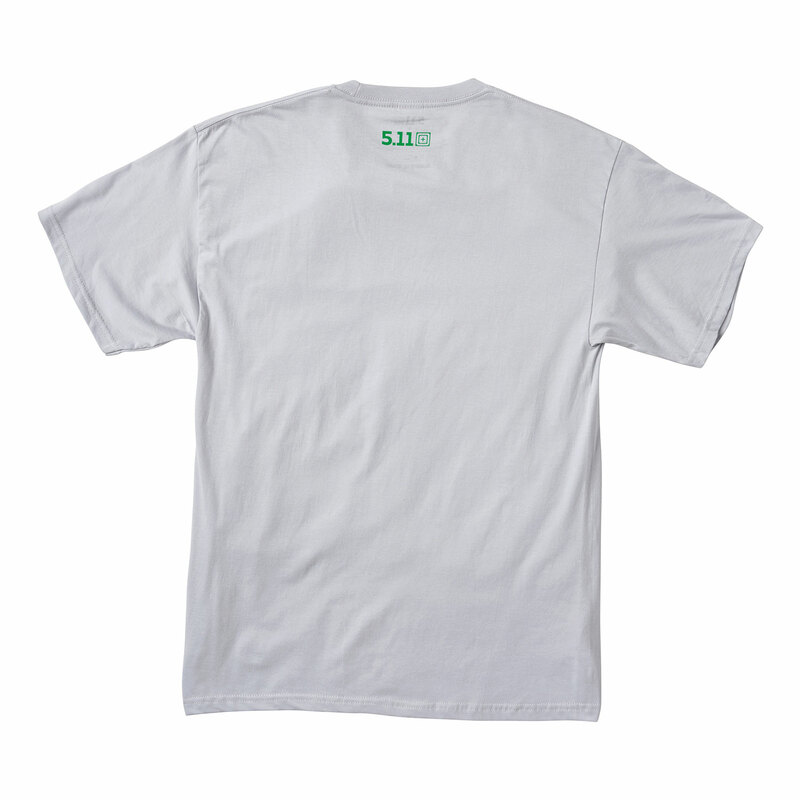 Crew-neck style and preshrunk fabric reduce unwanted gathering at the underarm and waist areas, increasing your range of movement. 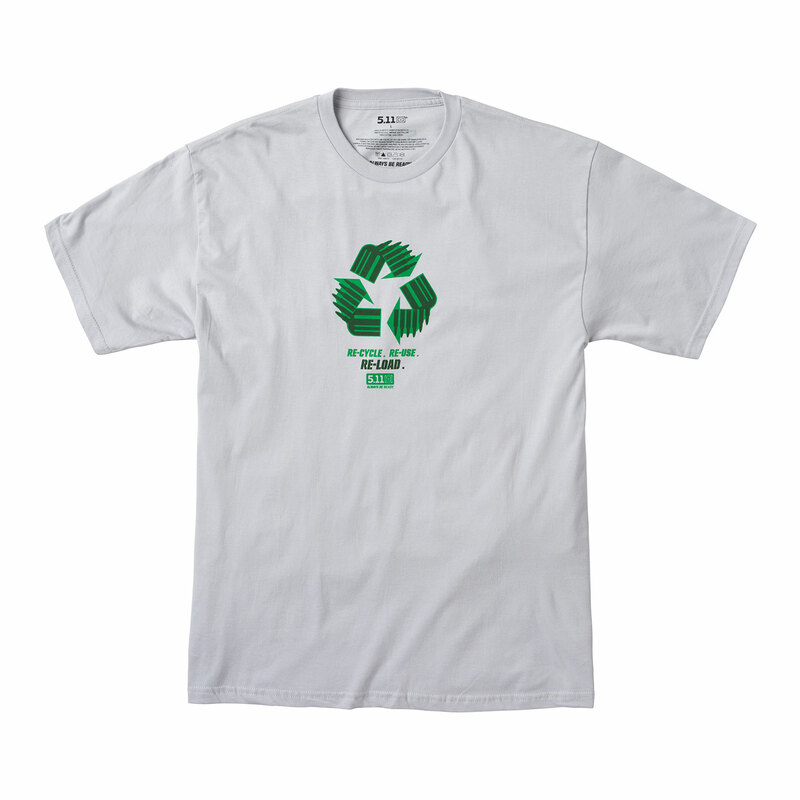 Show your care for our planet with the iconic recycling symbol, accompanied by 5.11’s signature logo and the earnest reminder to “Recycle”.